Bill Boyd works his usual magic with these simple, yet truly jazzy little solos for the young beginner. Each piece has a catchy title and feels good to play. 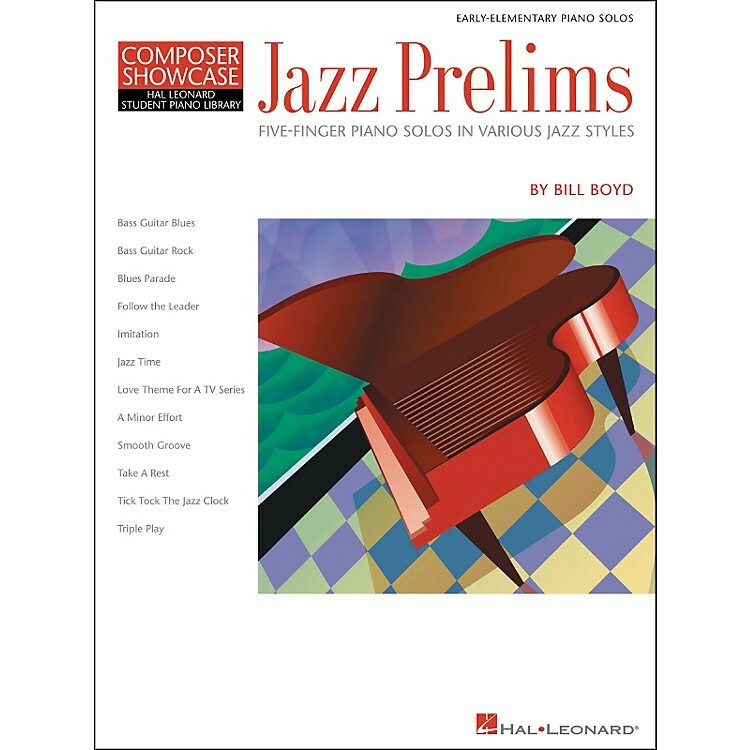 The jazz flavor Bill creates in each solo is a classic hallmark of his creative genius - easy-to-play pieces that give beginning performers a real taste of jazz style and flair. Various meters, tempos; C Major; alternating hands melodies; fixed position; Reading range: middle of the keyboard range; Treble and bass staff lines and spaces; 12 pieces: Bass Guitar Blues · Bass Guitar Rock · Blues Parade · Follow The Leader · Imitation · Jazz Time · Love Theme For A TV Series · A Minor Effort · Smooth Groove · Take A Rest · Tick Tock The Jazz Clock · Triple Play. Perf. Time: less than 1 minute for each solo.